CLASP is a charity, which was founded in 1985 to provide help for people in need, from whatever cause, in Clare and the surrounding area and to provide social and recreational facilities to improve the quality of life of anyone who could benefit, both young and old. At present, we have a transport section in which volunteer drivers in their own cars take people on necessary journeys to hospitals, doctors and for many other purposes. We provide a senior Centre on Wednesday at Clare Community Centre at which senior citizens can enjoy a midday meal and companionship, together with entertainment and outings. This is a whole day event from morning coffee until afternoon tea. 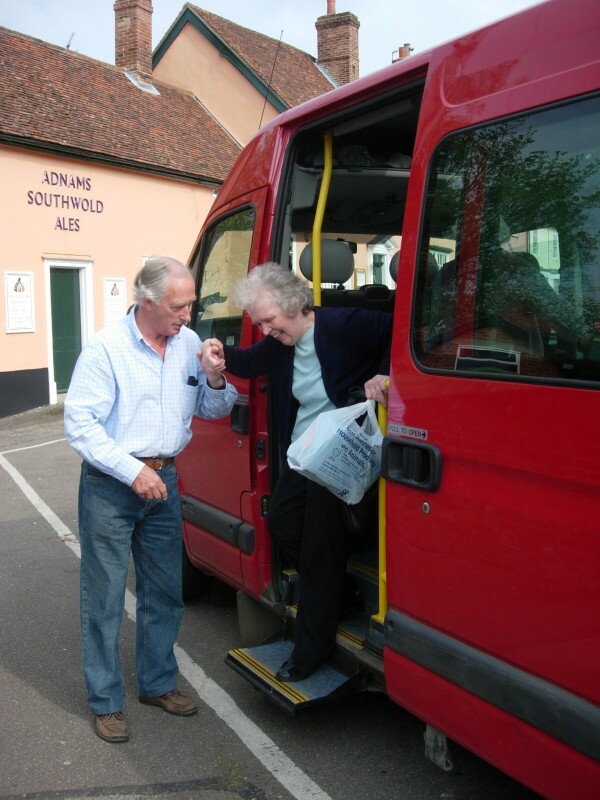 We have a visiting & voluntary service section whose members undertake friendship visits to sick or housebound people, visit people in hospital and provide other personal support in time of trouble.We operate a minibus with a low step and wheelchair ramp to make travel easy for mobility impaired people. This is used for taking people to and from Monday and Friday centres, Wednesday senior centre and for a variety of outings. 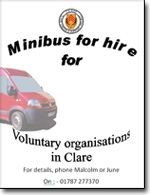 CLASP have a minibus available for hire to voluntary organisations in Clare.